We were very excited arriving to school today as it was our first Music lesson. 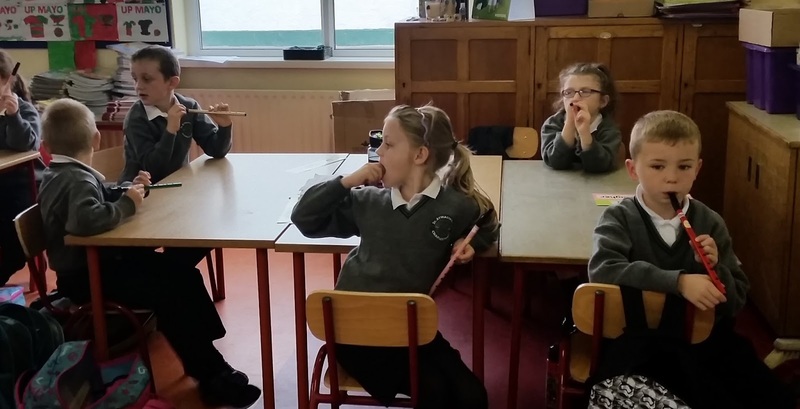 We are learning to play the tinwhistle this year. We were super for our first day, even learning a full tune - Mary Had a Little Lamb!